Palmaḥim Quarry is a site named for a modern quarry near Kibbutz Palmaḥim, located on a fossilized sand dune (kurkar ridge) on the south bank of Naḥal Soreq, c. 1 km from where the naḥal debouches into the Mediterranean. It was first discovered by J. Kaplan. Until recently it was covered by massive sand dunes. Their removal by quarrying bared the underlying archaeological deposits above the kurkar bedrock. Excavations were conducted on behalf of the Israel Department of Antiquities and Museums and the Israel Antiquities Authority. During the 1960s and 1970s, R. Gophna excavated 11 burial caves southwest of area D at the site. R. Reich conducted preliminary investigations (area C) in 1988, after quarrying caused additional damage to the site. 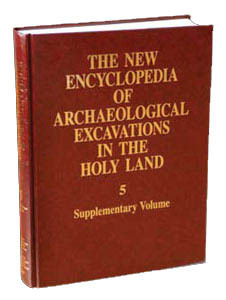 Later, E. Braun directed five seasons of salvage excavations (areas A, B, C, and D) between 1989 and 1990. Nothing is known of archaeological deposits in the area above the burial caves, but later work established that the remainder of the ridge, areas A–D, was covered by archaeological deposits resting atop bedrock. Work in areas A and C was abandoned when they were shown to be so severely damaged by quarrying that further effort was not worthwhile. Areas B and D were eventually excavated, but budgetary and time constraints produced only partial results for these very large tracts of the site. Unfortunately, most archaeological deposits in all areas were eventually destroyed by continued quarrying. In addition, the shearing of the top of the ridge for quarrying exposed scores of pits in the bedrock; they are of different sizes and shapes, and are in varying states of preservation. Today, only a small fraction of the ridge remains.